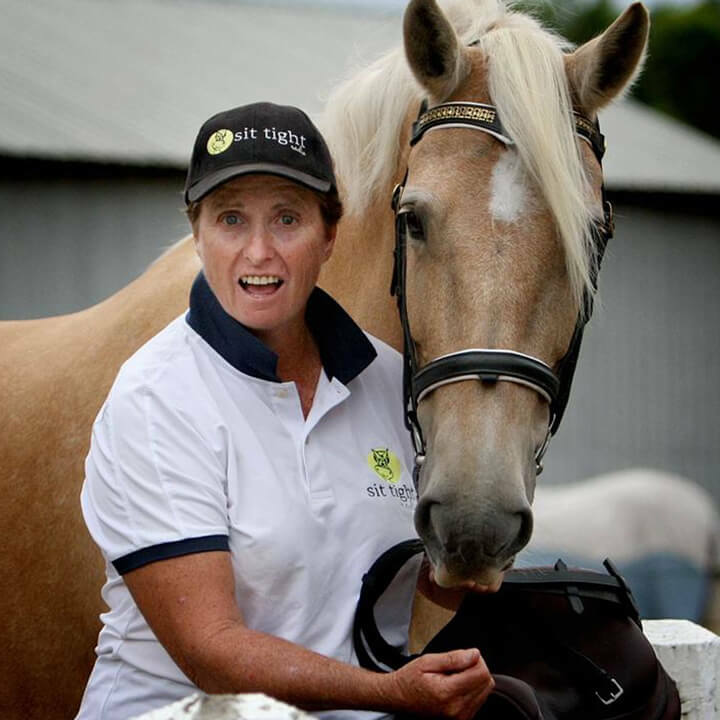 Fiona is a world travelled eventer, competitor, coach and now commentator with her own brand of Aussie humour and laid back approach to life. Her equestrian journey began from pony club, a very successful junior competitor. Fiona made her way into the senior ranks of the sport in the late 1980’s, competing against the best including placing second to Wayne Roycroft at one of her first Advanced ODE’s (then 3 star). The successes in the old format style of 3 day eventing were Fiona’s forte and to say her claim to fame of never having a horse spun from a trot up in a long career is fairly impressive. Serving a brief apprenticeship with Heath Ryan at N.S.W. 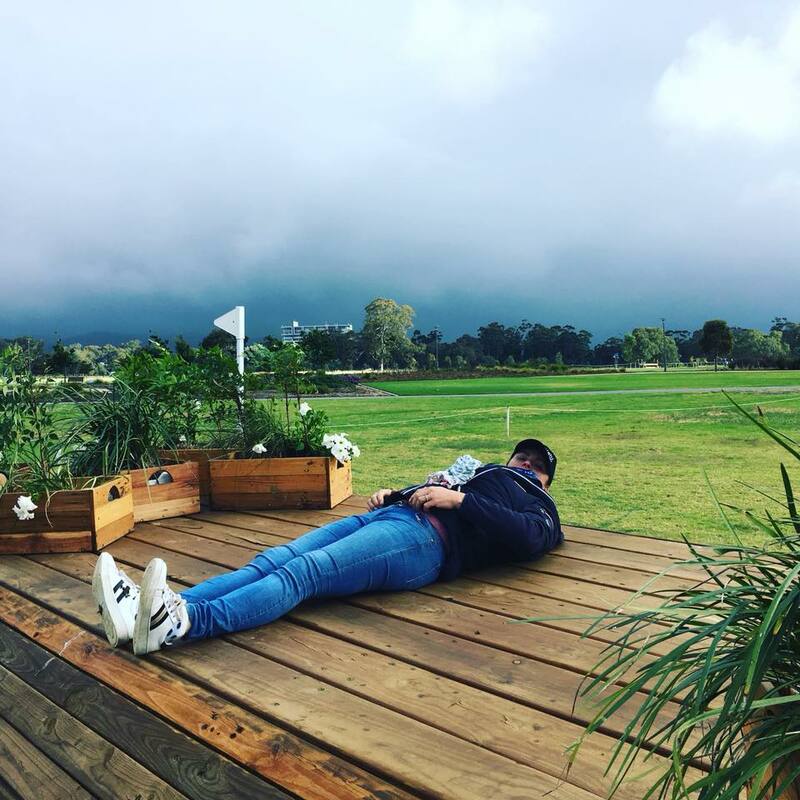 Equestrian Centre, Lochinvar, the bond between Heath and Fiona is very strong probably due to their shared passion of the true blue Aussie Eventing. 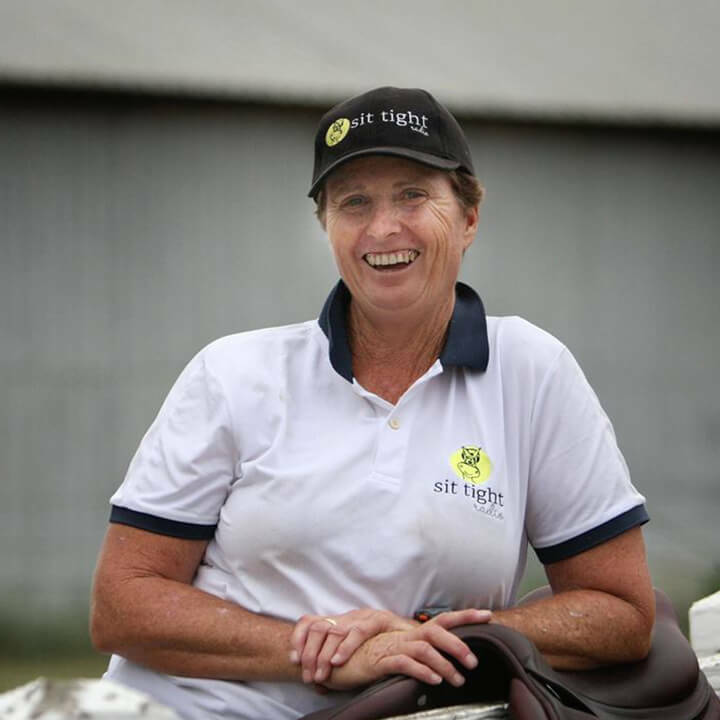 The business of producing horses and riders have been Fiona’s life mission but you may not know fishing or having a round of golf is where you’ll find Fiona in downtime. We all have that special horse in our lives to say Enchanted is the top of the list is no surprise. Teamed with Sammi Birch nee MacLeod, Enchanted was aimed at the Athens Olympics. So to be an owner at the likes of Badminton and Burghley is definitely a highlight for anyone in our sport. It is at Badminton Fiona became interested in commentary namely Radio Badminton. 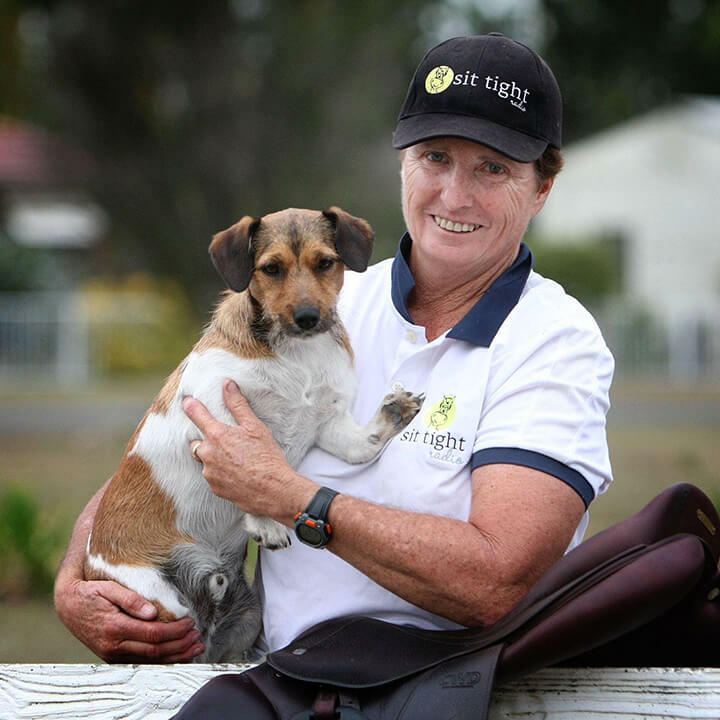 Fiona has been lead commentator at Queensland International 3DEs Sydney 3DE and co commentator at Adelaide 3DE as well as many of major ODE’s throughout N.S.W. so it is a wealth of experience Fiona brings to Sit Tight Radio. 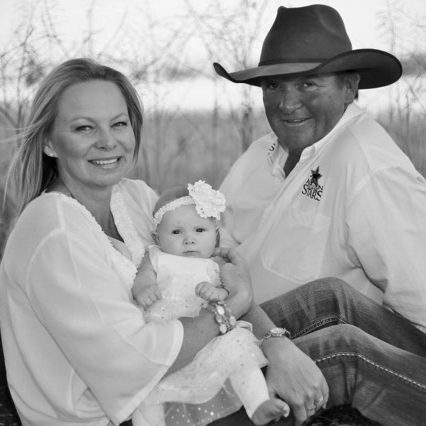 Also known as – Chris “Hoppy” grew up in Merriwa NSW, on his family’s sheep and cattle farm where his passion for horses and riding began. Chris learned to ride through mustering on the farm, on his stockhorse pony, Wally. Chris and Wally made the daily trek to and from school. Chris still musters cattle on his family’s Merriwa farm as well as droving and mustering cattle as a contractor. Chris began working for Heath Ryan at Lochinvar in the 1990’s at the age of 16 after leaving school. Here he completed his level 1 coaching qualification and established himself as an up and coming 3 star rider. 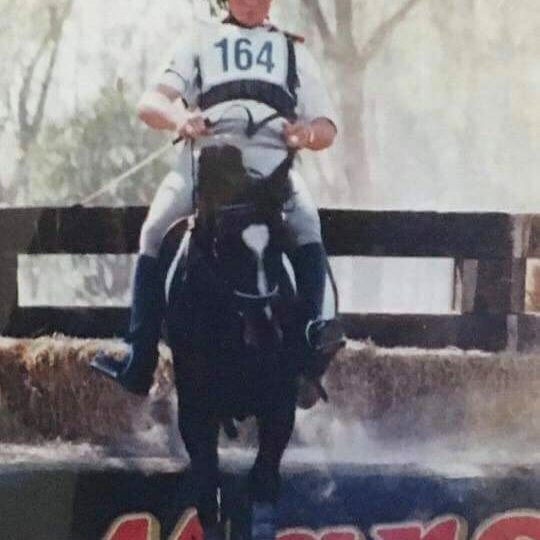 A highlight being representing Australia as a young rider at the Trans Tasman challenge on “Birrawel Walkabout”, a thoroughbred off the track that he trained from EA 95 to 3***. 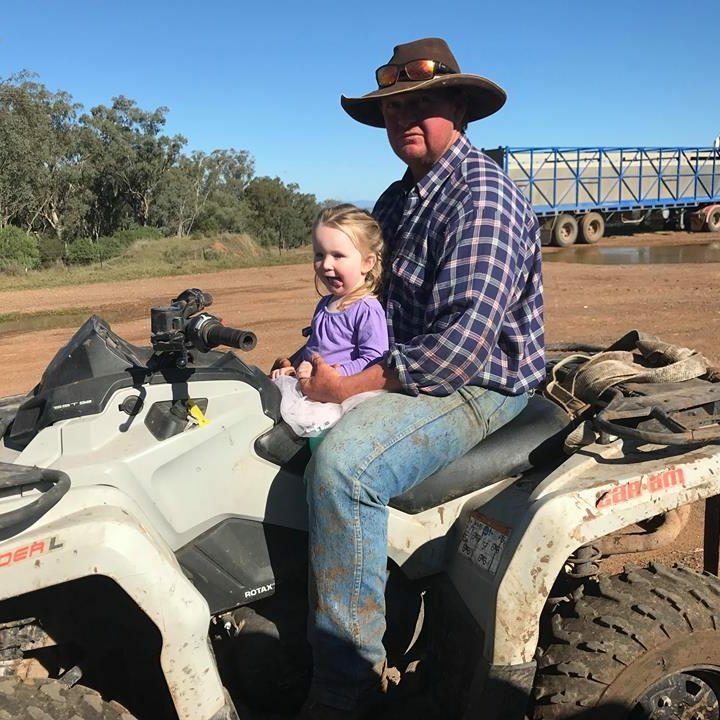 Chris lives on the Liverpool Plains at Spring Ridge with his wife Rebecca and 3 year old daughter Annabel, on their farm, “Coolanbilla”. Annabel enjoys visits from her sisters, Charlotte and Harriette and riding her Shetland pony, Sweetie. 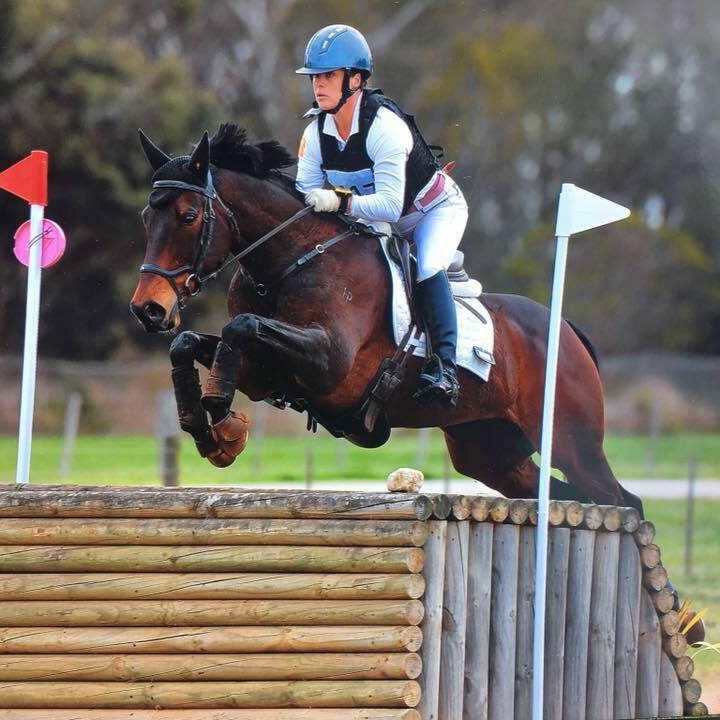 Both Chris and Rebecca share their love of thoroughbreds and compete them in eventing and showjumping. Chris and Rebecca are the owners of Hold Ya Horses Yard Hire, providing and setting up yards for horse events all over NSW. (Naaan Bread) as Fi likes to call me! After moving back to Victoria to have a little hiatus from horses, I purchased a city apartment near the beach, and took up a professional life in the city working for a jewellery company for 9 years. They all thought I was a bit of a ‘Bushy’ as I used to ride my bike to work listening to Keith Urban and I mistakenly told someone about driving trucks here there and everywhere to competitions over the east coast of Australia, so the nickname Truckie was quickly given. This didn’t quite match the prosecco drinking and diamond selling life I was then leading! After meeting my now husband in 2006, we backpacked for 12 months and then upon returning to Australia and getting married we purchased a property in the Macedon Ranges right next to Hanging Rock. Living back in the country led me to get back into riding and coaching after having two beautiful girls, Georgie 8ish and Ellie 6ish. They are both now keen, crazy riders and we juggle every other weekend at competitions around mine. I’m very fortunate to have been given a couple of great rides, and now have my old bones back into the One Star competitions with a beautiful thoroughbred named Hybeam, owned by Michelle Mathlin. Fiona is an old old friend (not as in age) from my days in NSW, and I’ve had a ball co commentating the big International 3 Day Events at Melbourne and Adelaide with her for the last few years. 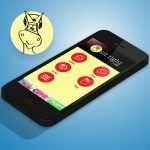 It’s an awesome way to follow all the combinations competing, watching all 3 phases and discussing how they’re progressing, with a few curly quips thrown in to keep us entertained and the listeners too! Sit Tight Radio really is the best way to keep professionally informed, entertained and “in the know” at these events. My particular favourite Fi’isms have been at 2 or 3 in the morning whilst she has commentated the Rio Olympics, with the ‘hairy mound’ or the ‘feet on the dash’ but gotta love if they’ve had a bit of ‘salt and pepper’ on their chips over the jump! 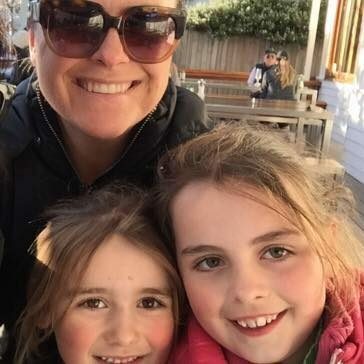 I’m now fortunate enough to coach some wonderful riders myself and live in a stunning part of Victoria with my husband Mark who is head of technology at Racing Victoria, and our two mad crazy rider girls. My life is extremely busy, but pretty good for old Naan Bread and my Garlic Naans and our horse crazy house full of kids, dogs and horses! 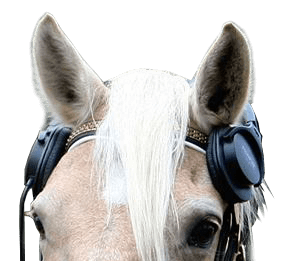 Wishing all the Sit Tight listeners a wonderful 2018 of Eventing!